What’s a teacher to do when difficult experiences in early childhood prevent children from entering kindergarten with the executive functions they need? Many kindergarten teachers have had similar experiences with children who simply don’t seem ready for kindergarten. But they may not understand the complex developmental processes that can contribute to the troublesome, and no doubt disruptive, behaviors this child exhibited. How do social and biological factors interact to affect children’s behavior, and what are the brain structures and functions involved? Salvatore Terrasi and Patricia Crain de Galarce (2017) have described how important it is for teachers to understand the potential impact of childhood emotional trauma on classroom behavior. They suggest that “teachers who are unaware of the dynamics of complex trauma can easily mistake its manifestations as willful disobedience, defiance, or inattention, leading them to respond to it as though it were mere ‘misbehavior’” (p. 36). The child in the New York Times story does not appear to be exerting conscious control when responding to the teacher defiantly. She was more likely responding to emotional impulses she did not have the capacity to control. The girl was the child of a single mother living in a low-income neighborhood in Brooklyn. Children from low-income communities who live in single-parent households are at greater risk of exhibiting these types of disruptive behaviors when entering kindergarten. As Clancy Blair and C. Cybele Raver (2015) explain, “The neurocognitive and social emotional skills integral to self-regulation undergird early learning and are likely to be compromised for children growing up in poverty and other adverse circumstances” (p. 713). What might have impaired this six-year-old’s emotional self-regulation and, as a consequence, impeded her capacity to develop the basic skills expected of most kindergartners? What should teachers know about the possible underlying causes of a child’s lack of self-control? 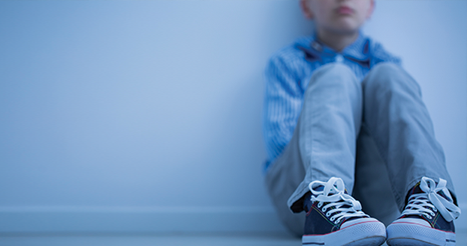 If early emotional trauma has affected a child’s neural development, what steps can educators take to provide a learning environment that will enhance that development? Working memory — the ability to hold new information in the mind, process it, and store it as a learned memory. Together these capacities enable children to exert conscious control over their behavior to achieve a goal. While it is neither unusual nor unexpected for a three-year-old child to have an emotional tantrum, it is expected that five-year-old children entering kindergarten will have gained the capacity to control their emotional impulses and avoid tantrums. It is important for teachers, especially those in the early elementary years, to understand how the development of EF reflects an underlying biological process. As with other biological processes (for example, the development of language), children often develop their capacities at different rates. While it is neither unusual nor unexpected for a three-year-old child to have an emotional tantrum, it is expected that five-year-old children entering kindergarten will have gained the capacity to control their emotional impulses and avoid tantrums. The development of EF proceeds relatively slowly from birth through age three and then accelerates rapidly between ages three and six. Figure 1 shows the average or modal (most common) developmental pattern. 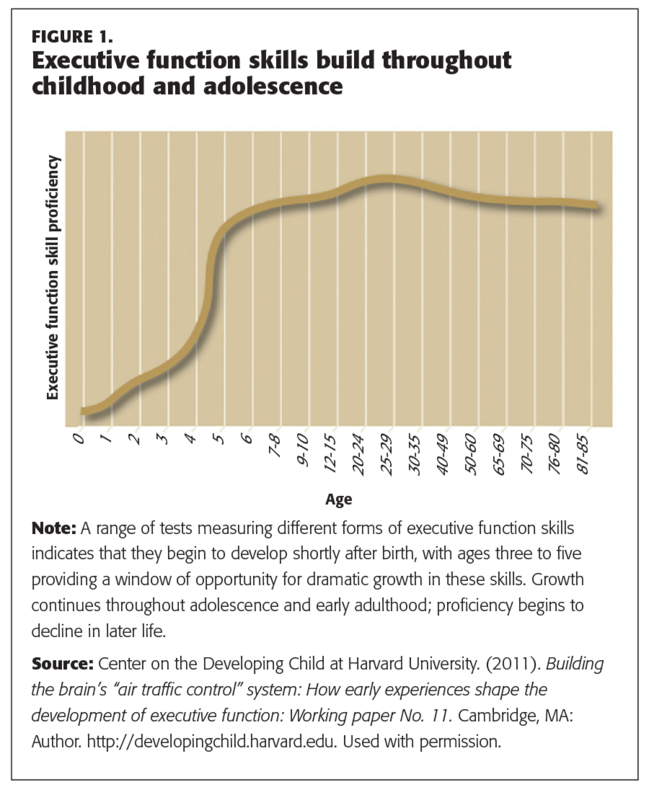 In some children, the development curve will be shifted to the left, with more rapid development. In other children, it will be shifted to the right, with delayed development. To appreciate the neurobiological processes underlying this development, it is important to have a basic understanding of brain structure and the neural connections among different regions of the brain, as illustrated in Figure 2. The front part of the brain, or the prefrontal cortex (PFC), is where many different components of memory are stored. For example, when we were children, we first learned the concept of “2 plus 2 equals 4.” If I were to ask you, “What is 2 plus 2?” you would rapidly respond “4.” In doing so, you would not actually have performed a mathematical computation. You would simply have retrieved the conceptual memory stored since childhood in the PFC. This process — of taking new bits of information and storing them in the PFC as memory — is largely under the control of the hippocampus, which sits at the bottom, central portion of the brain. The better our hippocampus works, the better it is able to store new memories and associations in the PFC. This process involves creating multiple nerve connections (or axonal connections) from the hippocampus, looping up and over the central portions of the brain to the PFC. A second form of memory follows a similar pathway. These are the emotional memories we have stored — and which we often recall unconsciously. Many of these memories come from early childhood. Some are positive memories of the warmth and security derived from a caring parent or other adult figure. Some are negative, reflecting the fear or anger of feeling threatened or experiencing punishment or abuse. These memories are transmitted through the amygdala to a separate area of the frontal cortex referred to as the orbital frontal cortex (OFC), shown in Figure 2 at the base of the frontal cortex. If a child develops a feeling of intense anger in response to a stimulus, that anger may represent an emotional memory of an earlier experience stored in the OFC. The child may only have conscious control over their response to that memory if they have developed an adequate level of executive function. In severe cases, the stored emotional memory will be in response to a single incident that was so powerful it repeatedly disrupts normal interactions with others. This may represent post-traumatic stress disorder (PTSD). For example, Terrasi and de Galarce (2017) describe a case of PTSD in a 2nd-grade student who previously got along well with his friends and was succeeding in school but who, after witnessing his mother being hit in the arm by a stray bullet while they were walking together in their neighborhood, became “defiant with his teachers . . . often hiding under a desk, knocking things down, hitting other children, and running out of the classroom” (p. 35). Children growing up in poverty and in high-stress circumstances are at increased risk of developing these changes in brain architecture. Jack Shonkoff and his coauthors (2012) have reported that chronic toxic stress “is associated with hypertrophy and overactivity in the amygdala and orbitofrontal cortex, whereas comparable levels of adversity can lead to loss of neurons and neural connections in the hippocampus and medial PFC” (p. e236). Joan Luby and colleagues (2013) followed 145 children from age three through age six, assessing their emotional and behavioral development and examining data on their family circumstances. After the children were six years old, the authors administered an MRI brain scan to each child, measuring the size of their hippocampus, PFC, and the axonal nerve connections between them. Preliminary analysis found that children from families living in poverty tended to have a smaller, less-developed hippocampus with fewer axonal connections with the PFC. On further analysis, the authors determined that it wasn’t poverty itself that was associated with a less-functional hippocampus. Rather, it was the presence of hostile parenting style, low levels of emotional support from parents, and repeated exposure to stressful life events. Ximena Portilla and colleagues (2014) followed an ethnically diverse sample of 338 five-year-old children through their first year of kindergarten. They assessed each child’s level of inattention and impulsive behavior in class, as well as the teacher’s perception of the level of teacher/student conflict the student’s behavior caused. They found that (a) teachers reported having more conflictual relationships with children exhibiting repeated impulsive behavior and (b) greater levels of conflict perceived by the teacher were associated with decreases in school engagement on the part of the child, as well as reduced academic competence in 1st grade. The way a kindergarten teacher responds to a child who exhibits poor EF and disruptive behavior can have a powerful, negative impact on the child’s own investment in the educational process. The way a kindergarten teacher responds to a child who exhibits poor executive function and disruptive behavior can have a powerful, negative impact on the child’s own investment in the educational process. In the New York Times story, it does not appear that the kindergarten teacher understood the girl’s disruptive behavior as the consequence of delayed neural development. The teacher appears to have seen the girl instead as a troublemaker who would continue to cause problems in class and, as a consequence, placed the girl’s name on the school’s “Got to go” list. What if the teacher had instead offered the child the kinds of interpersonal and educational experiences that would have supported her development of executive function? The delay in hippocampal/PFC functioning that reduces a child’s EF is not irreversible. The brains of children this age retain a high level of plasticity, meaning that the neural connections can still be altered. Children who enter kindergarten with delayed development of EF maintain the capacity for continued neural development and enhanced cognitive learning. The question is, who will provide the social and emotional support the child needs? A growing consensus has identified formal instruction in social and emotional learning (SEL) as an essential component of both preschool and elementary education. Karen Bierman, Mark Greenberg, and Rachel Abenavoli (2017) define SEL as the process through which children “acquire and effectively apply the knowledge, attitudes, and skills necessary to understand and manage emotions, set and achieve positive goals, feel and show empathy for others, establish and maintain positive relationships, and make responsible decisions” (p. 1). The authors cite evidence that crucial social-emotional development typically occurs between the ages of three and six and that “Children growing up in poverty are particularly likely to show delays in the social-emotional and self-regulation skills needed for school success, due in part to their heightened levels of stress” (p. 4). The Collaborative for Academic, Social, and Emotional Learning (CASEL) is a coalition of teachers, educational scholars, and nonprofit organizations with the shared goal of “promoting integrated academic, social, and emotional learning for all children in preschool through high school” (CASEL, 2017). This organization has developed useful resources for teachers who wish to promote SEL. Indeed, it’s not enough for teachers to want to provide social-emotional support for students. They need support and training to do so. The Handbook of Social and Emotional Learning cites consistent evidence that effective forms of SEL “can be effectively delivered by teachers provided that they receive sufficient training, consultation, and support” (Weissberg et al., 2015, p. 13). Children raised in highly stressful home or social circumstances are prone to delays in the normal development of executive function. It is essential that kindergarten teachers and other early childhood educators understand and appreciate that these delays can result in disruptive classroom behavior that does not reflect conscious, willful disobedience on the part of the child. Delays of this type are being successfully addressed through SEL programs. Educational administrators should ensure that teachers have the opportunity to become familiar with successful SEL programs and are provided the time and resources to incorporate these into the classroom, especially if the children entering their classrooms have been raised in highly stressful circumstances and, as a consequence, are not yet kindergarten-ready. Bierman, K., Greenberg, M., & Abenavoli, R. (2017). Promoting social and emotional learning in preschool — Programs and practices that work. State College, PA: Pennsylvania State University, Edna Bennet Pierce Prevention Research Center. Blair, C. & Raver, C.C. (2015). School readiness and self-regulation: A developmental psychological approach. Annual Review of Psychology, 66, 711-731. Center on the Developing Child at Harvard University. (2011). Building the brain’s “air traffic control” system: How early experiences shape the development of executive function: Working paper No. 11. Cambridge, MA: Author. Luby, J., Belden, A., Botteron, K., Marrus, N., Harms, M.P., Babb, C., . . . Barch, D. (2013). The effects of poverty on childhood brain development: The mediating effect of caregiving and stressful life events. JAMA Pediatrics, 167 (12), 1135-1142. National Scientific Council on the Developing Child. (2014). Excessive stress disrupts the architecture of the developing brain: Working paper 3. Updated Edition. Cambridge, MA: Harvard University, Center on the Developing Child. Portilla, X.A., Ballard, P.J., Adler, N.E., Boyce, W.T., & Obradovi, J. (2014). An integrative view of school functioning: Transactions between self-regulation, school engagement, and teacher-child relationship quality. Child Development, 85 (5), 1915-1931. Shonkoff, J.P., Garner, A.S., the Committee on Psychosocial Aspects of Child and Family Health, Committee on Early Childhood, Adoption, and Dependent Care, and Section on Developments and Behavioral Pediatrics, Siegel, B.S., Dobbins, M.I., . . . Wood, D.L. (2012). The lifelong effects of early childhood adversity and toxic stress. Pediatrics, 129 (1): e232-e246. Taylor, K. (2015, October 29). At a Success Academy charter school, singling out pupils who have “got to go.” The New York Times. Terrasi, S. & de Galarce, P.C. (2017). Trauma and learning in America’s classrooms. Phi Delta Kappan, 98 (6), 35-41. Weissberg, R.P., Durlak, J.A., Domitrovich, C.E., & Gullotta, T.P. (2015). Social and emotional learning: Past, present, and future. In J.A. Durlak, C.E. Domitrovich, R.P. Weissberg, & T.P. Gullotta (Eds. ), Handbook of social and emotional learning: Research and practice. New York, NY: Guilford Press. Zelazo, P.D., Blair, C.B., & Willoughby, M.T. (2016). 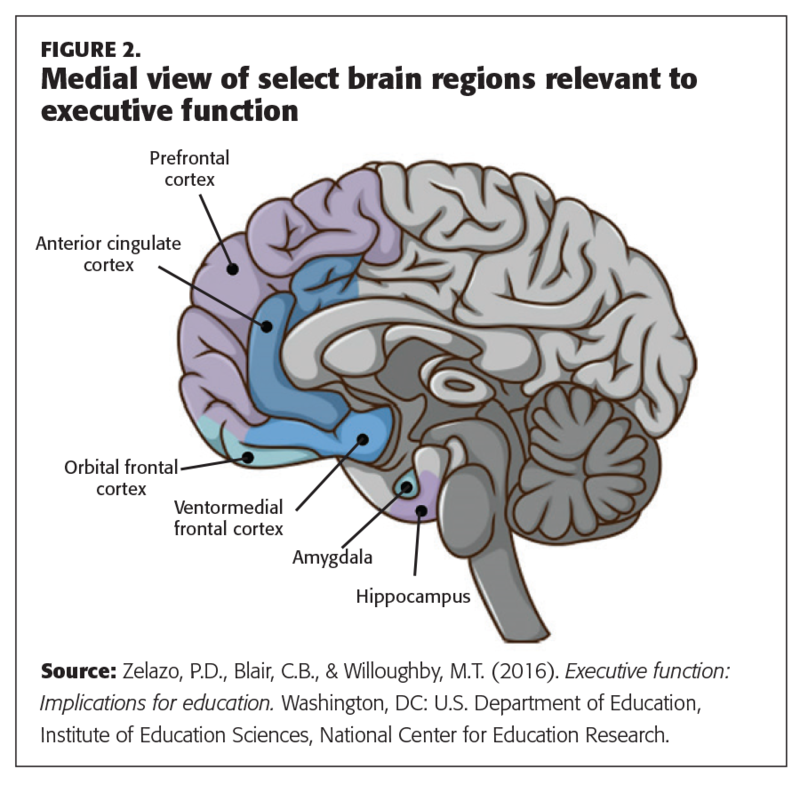 Executive function: Implications for education. Washington, DC: U.S. Department of Education, Institute of Education Sciences, National Center for Education Research. Originally published in March 2018 Phi Delta Kappan 99 (6), 39-44. © 2018 Phi Delta Kappa International. All rights reserved. DONALD A. BARR (barr@stanford.edu) is a professor (teaching) of pediatrics and (by courtesy) education, Stanford University, Palo Alto, Calif. This article was a complete waste of time. I have been to many workshops and read many articles about the brain and the trauma some children suffer, however I never hear ways for the teacher to cope, let alone teach his/her class. Then to add insult to injury your statement “The way a kindergarten teacher responds to a child who exhibits poor EF and disruptive behavior can have a powerful negative impact on the child’s own investment in the educational process”. Why does Mr. Barr assume that the teacher is having a negative impact rather than a positive one? The kindergarten teachers I have supervised and worked with are among the most positive and understanding teachers I know! Childhood trauma comes straight from their home or social environment, that is true – but teachers cannot take the place of parents and parenting can’t be legislated! Until that is figured out I guess all teachers and administrators can do is identify the problem and learn coping skills themselves. You should probably look into the work of Jessica Minahan and Nancy Rappaport. Their book The Behavior Code: A Practical Guide to Understanding and Teaching the Most Challenging Students, is a great resource to gaining a more comprehensive understanding of the traumatized and/or the acting out student. They also published a companion book full of helpful resources for educators to use in the classroom to track and help this population with behavior and personal experiences that impact learning. An educator doesn’t need to respond in a negative manner to have a negative effect on a child dealing with trauma, more often than not and in my own experience working in the classroom with this population, it can be the most positive and supportive educator who misreads the behavior and therefore creates an unintended result.